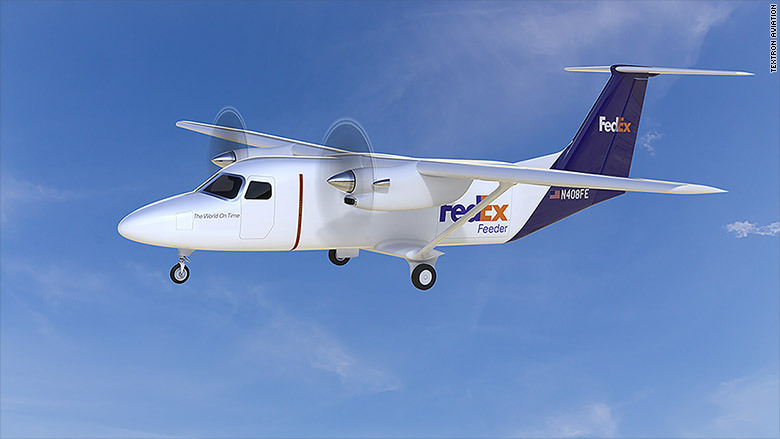 FedEx is keen on Cessna's newest small plane. Cessna on Tuesday unveiled an all-new design for a small freighter and passenger aircraft, dubbed the SkyCourier. FedEx Express has agreed to buy 50 of the flying delivery trucks, adding roughly one per month for four years, and holds options for 50 more. The global delivery company is rapidly modernizing its fleet of small planes to stay ahead of competitors like Amazon (AMZN), which are trying to fly and deliver more orders themselves. FedEx (FDX), whose planes crisscross the globe with your packages, operates one of the largest aircraft fleets on the planet. But its enormous freight aircraft can't pickup and deliver in every community, so the company uses a feeder network of smaller planes to get parcels closer to their final destination, where they can be delivered by ground transportation. With a top speed of 200 knots (230 miles per hour), the SkyCourier will be able to haul 6,000 pounds of cargo as far as 900 nautical miles. 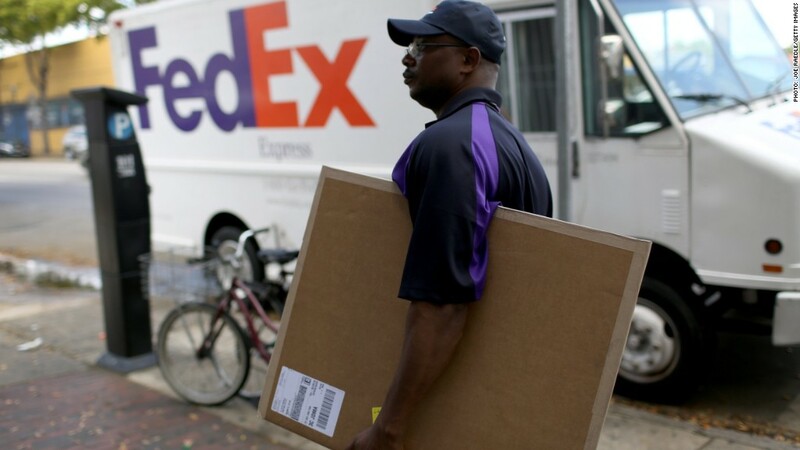 That range would enable FedEx to fly packages from its main hub in Memphis to locations as far off as North Dakota, New Mexico, Connecticut or even the Caribbean. While the design is all new, the SkyCourier isn't the most high-tech plane around. Cessna is using long-proven engines and non-computerized pilot controls to keep development costs down. And the aircraft gets by without some of the standard features of larger planes like retractable landing gear. That saves weight and allows the aircraft to operate in more rugged conditions. The body of the plane is designed to fit three specially shaped containers that will slot directly into the belly of larger freight airliner to speed up airport connections. The SkyCourier will fly first as a freighter, but the aircraft also comes in a model designed to carry up to 19 passengers and two crew. Cessna, which is a unit of Textron (TXT), didn't immediately respond to a request for further comment.